When you step onto sacred land something magical happens that is beyond words. 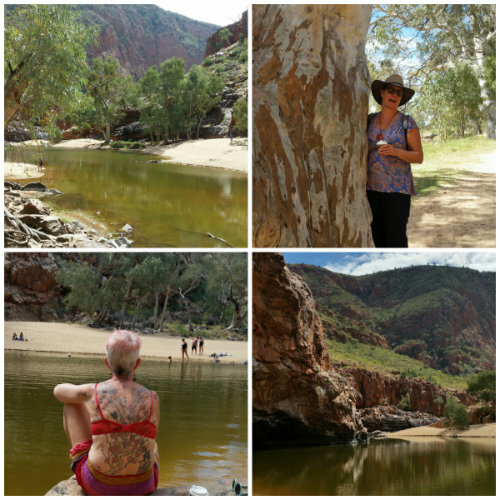 The outback changes you…it just does! If you are ready to experience a personal soul journey then this is the right tour for you. Click here to view our pictures from the 2016 Desert Awakenings Tour. Welcome to Alice Springs ~ the heart + soul of the outback! A welcome blessing + meditation under the gum trees with Susanne to create your own personal intention for your Journey for the Soul. 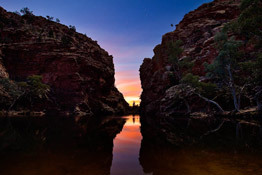 Before our Indigenous guide Bob whisks us away to share with us a sacred site in the West MacDonnell Ranges (Tjoritja) before stepping onto his own private land for our evening under the milky way. Picture yourself standing for a sunset meditation on sacred land with sunset hues of red, orange, gold, pink and rust awakening your senses to the wonder of Mother Nature. Let our sacred earth be a healing balm to your spirit. Now we dine with a bush tucker b’que flavoured with traditional herbs + spices cooked by Master Bush Chef Bob and his team. This is always a highlight! Suggestion: Arrive a day early to discover Alice Springs + have zero stress about your plane being late! Visit a local traditional healing centre to buy TBM (traditional bush medicine) or Olive Pink Botanical Gardens or Alice Springs Desert Park. There are no time constraints in the outback so let’s slow down and enjoy our journey on Arrernte country. Feel the serenity! Tjoritja/West MacDonnell National Park will draw you in. Her beauty is majestic with cool picturesque gorges with many plants and animals only found here when Gondwana land was tropical! There is nothing like an outback sunrise, sunset or starry starry night sky. 300 – 350 million years to create the ancient landscape so let’s hit the pause button and appreciate mother nature. Immerse yourself in some of the most breathtaking landscape you will ever see. 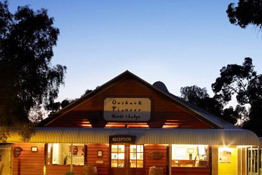 Hit the dusty roads to Ooraminna (means hot tucker) Station where we will soak up the Outback beauty at sunset. Enjoy a glass of Australia’s finest wine under the stars with dinner! A day of re-connection to beauty, breath and balance! Suggestion: Go with the flow as plans may change to suit culture, weather + group needs. Your on desert time now! *Not a swag kinda girl? Upgrade to a cottage + ensuite for single, twin or triple. Enjoy a relaxed breakfast before our journey through the Red Centre to the ‘heart of Australia’ Uluru! No journey to the heart can be rushed and now we are ready to journey to Anangu country where the spiritual heart of Australia is. 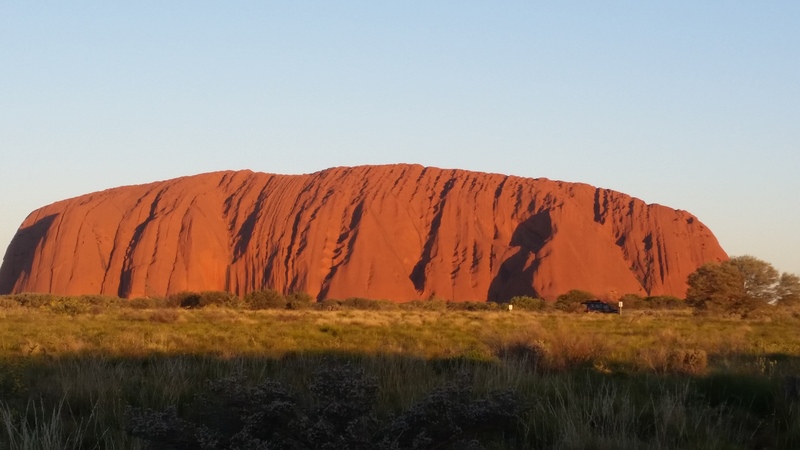 When you first see Uluru you may cry, be in awe or feel a deepening love for Australia and your place in it. Everyone responds differently because Uluru quite simply touches our hearts + pulls the metaphysical heartstrings! Which is why you have such an emotional response to seeing her for the first time. At dusk we witness the magic of a Uluru sunset. Many local artists display their works at sunset offering you the opportunity to chat to the artist and discover the story behind their art. Susanne offers gentle guidance with meditation + breathing techniques to awaken the healing potential. This is such a personal moment. Let it be what it needs to be. Respect! Soak up the moments in silence as you experience nature’s own light show the expansive, limitless and infinite night sky of Yulara. Our guide Jen lives at Yulara and is deeply involved with community. She’ll share her knowledge, passion, stories and Anangu language with you. 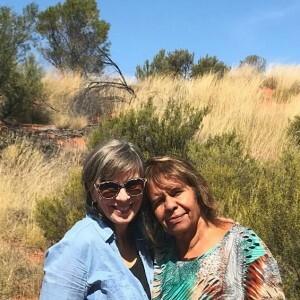 During your time in the Central Desert we will journey to traditional women’s gathering area for a one off opportunity to come together with Senior Traditional Anangu Elder Aunty Alison Hunt from South West Petermann. This day is very special so therefore in honouring culture I cannot share any information with you. Auntie will also spend time with us at Yulara and Uluru sharing wisdom, knowledge, lore of culture, community, art + tbm (bush medicine). Also what happens during our time on land stays on land. Respect. A day of discovery, listening, presence, heart healing, connection, sharing of cultural values, customs and protocol and witnessing the beauty of nature. At the day’s end relax in your own bath with healing salts to cleanse + refresh your energy. Greet the morning sun at Uluru. She has been 550 million years in the making and Uluru teaches us to slow down and enjoy easy paced walks with time to stop, breath, feel, absorb and be. 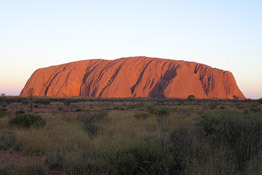 Experience the power and beauty of Uluru slowly so that you can absorb the sacredness. Watch the tourists power walk past missing the sacred beauty that you will be capturing. Experience the power, beauty and tranquility of Uluru as you spend moments in silence and stillness. The afternoon is free to visit the cultural centre, swim, snooze or explore many of the free options available to you at Voyages or we will enjoy an intuitive walk listening to the sacred wisdom of the land. Feel your senses awakening, breath in the desert, feel the earth beneath your feet, be present, let nature move you + feel yourself coming home. 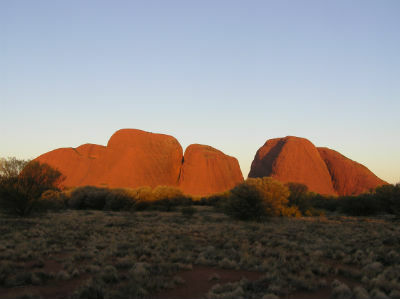 Our late afternoon is dedicated to visiting the men’s sacred site of Kata Tjuta for sunset. The Anangu people prefer women don’t walk through this area and in respect of this I personally do not enter this site. 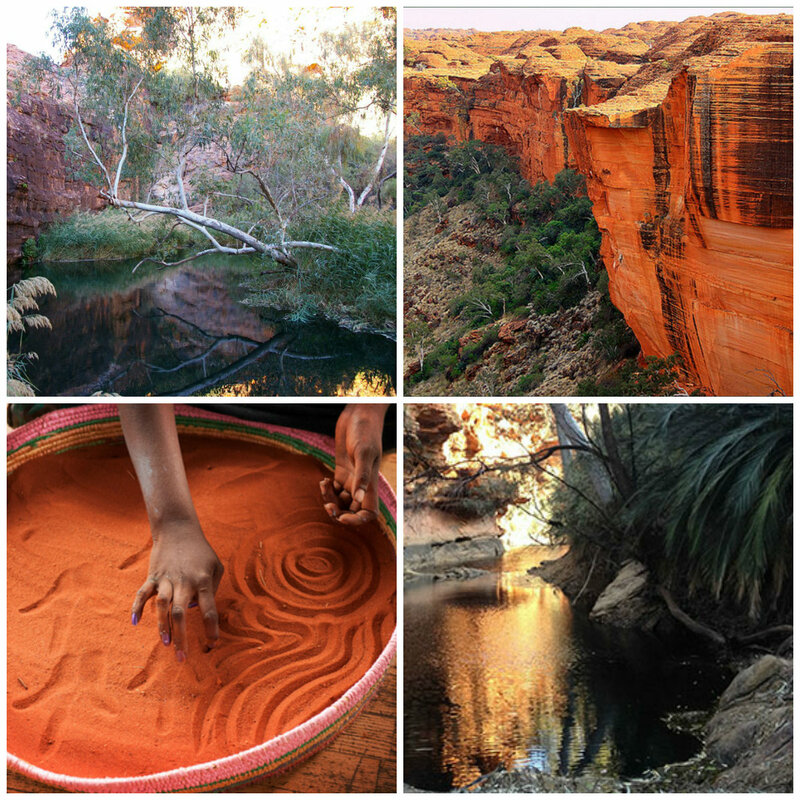 However, you may be drawn to explore it and that is completely ok by me + Anangu people. Listen to what feels right and whether it pulls you. Wander, tune in, sit under a tree and absorb the immense power of Kata Tjuta. Breath it in and let it feed your own power centre. A day of connection, listening, learning and power. Kata Tjuta sunrise is breathtaking in it’s raw rugged red beauty when combined with the dawn of a new day symbolizing new beginnings. You will feel the shifts and changes within and you will look + feel different. Do I dare say it? 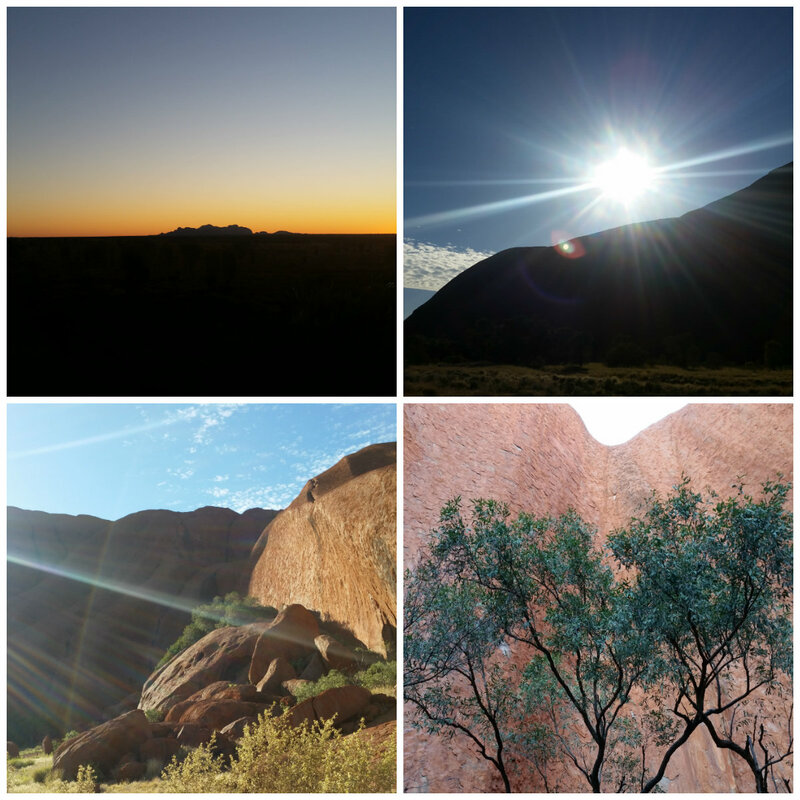 A Kata Tjuta sunrise is more awe-inspiring than even the sunrise at Uluru! You be the judge though. Enjoy a cuppa at Kata Tjuta, farewell breakfast and a closing ceremony in the gardens of Yulara concludes your time in the outback. Fond farewells to new friends and step back into your life ~ a new woman! Journey home with a lifetime of memories that you will never forget. Suggestion: Stay an extra night and enjoy the Sounds of Silence Dinner and a unqiue experience not seen in any tourist brochure. Journey’s for the Soul was created for women who want to explore spiritual and cultural destinations with awareness. Susanne works with the best local guides and drivers to offer behind the scenes opportunities and flexible schedules to suit the mood of the tour. Whilst we are swagging it at Ooraminna Station once you get to Yulara – it’s your own ensuite with a bath…..how amazing will that be at the end of a long day? And, we do love great coffee, good food + great wine too! 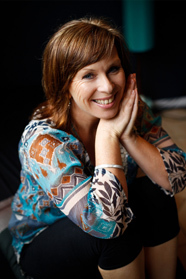 Susanne creates each journey intuitively and individually and her wealth of knowledge from 33 years in the health and retreats industry will shine through everyday. Not fussed with fancy accommodation? There are cheaper options available that will save you $$ – talk to us and we can work it out. email me to discuss your thoughts. We look forward to sharing this journey with you and seeing what magic unfolds! Book your place by sending an email to confirm your room style and for EFT details. For CC payment hit the Pay Now button. An invoice will be sent following your payment. 1) Transfer your booking to another tour with a credit according to the payments you have made, less any non-recoverable costs that have been incurred on your behalf. 2) A partial refund. Once full monies have been paid the refund available if 50% of the total fees paid. 3) If cancellation occurs 30 days or less prior to tour no refund is available and we recommend you transfer to another tour. Feminine Spirit reserves the right to alter any part of the schedule due to circumstances beyond our control. Mother Nature + indigenous ceremonies may alter some aspects but we aim to please and will do our utmost to make it up along the way! *Come early + stay later to make the most of your tour and to avoid travel delays. Webjet will help you source direct flights for Jetstar, Virgin and Qantas. *We suggest you take out Travel Insurance at the time of booking. We intend to visit Uluru 14 August 2018. Happened to see your Red-Desert- Awakenings package. I would like to know if you are doing that tour from 15 to 19 Aug 2018? It will be for a group of 6 ladies, 4 from Singapore and 2 from Hongkong. I am in the final stages of planning but have penciled in 4th – 8th September 2018. The weather is sublime and all the wildflowers have bloomed after the rains. All will be on the website within the next week or so. I realize the dates don’t match up. But it would be lovely to share this with your lovely ladies. Should you happen to change your date to Aug, please let me know. If you are still interested I am able to move the dates to August but I would need to confirm the change with my drivers/guides. If you email me susanne@femininespirit.com.au and we can discuss from there. I am still finalizing the last details … but we could chat about anything your group would love to have included as I can tailor each tour to suit. No only August in 2018. I only do one a year to keep it sacred. 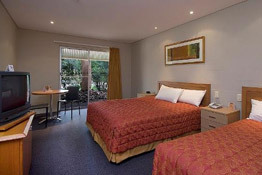 Although I keep thinking of doing a retreat / tour in Alice Springs as I have an amazing venue in the desert! Next year it will be Sept – dates are yet to be confirmed as those I work with don’t work that far out…. If you are signed up to my Spirit Blessings newsletter – I will advise when the next tour is scheduled. Hope to share with you one day. Interested in 2019 info for feminine spirit tour please. Hi Wendy… I am finalizing dates + destinations with my guides this week. So shall be back in touch when it’s right. It will all be advertised on https://www.facebook.com/Feminine.Spirit and on website.